India’s top four IT outsourcing firms are in a dog-fight. In the boom times, all of Bangalore’s finest were able to grow in tandem. But in today’s climate the game has turned to a scrap for market share. Tata Consultancy Services and HCL Technologies look to be on top, but don’t rule out a revival at Infosys and Wipro. Disappointing results from both Infosys and Wipro look all the worse alongside strong performances by domestic rivals. Earnings at global software and IT services companies are expected to decline by 2 percent on an average this year, according to Societe Generale research. And while HCL’s latest quarterly numbers were good, the group cautioned that large U.S. and European corporations had spent 40 percent less on new projects in the first half compared to the same period last year. A tougher environment that creates winners and losers amongst India’s big outsources may be no bad thing. Both Infosys and Wipro have changed CEOs recently. Local rivalry means that both men are now under real pressure to keep their companies competitive. And there are areas where greater focus and discipline should drive improvements for customers and investors. All the companies need to find the right mix between traditional outsourcing service and higher-value IT consultancy. TCS has been particularly skilled at changing with the times, increasing its market share in lower-cost activities. 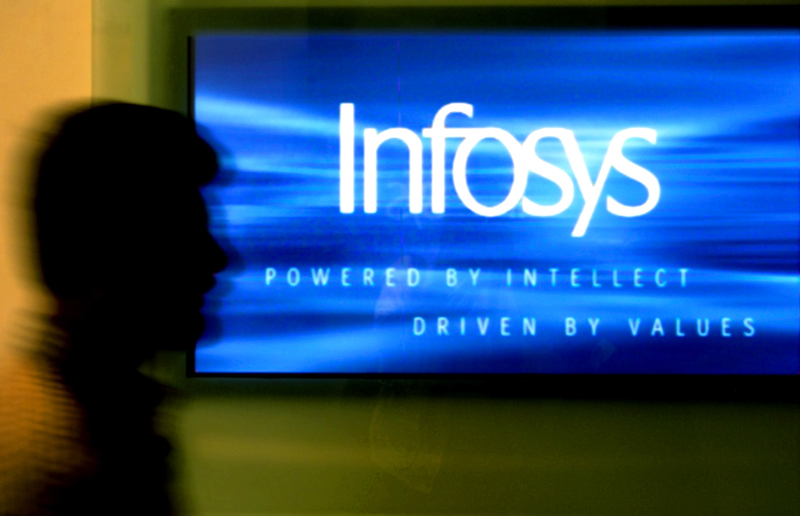 By contrast, Infosys lost ground in this segment and has been unable to compensate with its consultancy business, given stiff competition from the likes of U.S.-based IBM and Accenture. Infosys’ long-term strategy to reposition towards higher-margin may prove clever when the economy recovers, and competition for TCS should be a spur to accelerate implementation. The $69 billion industry needed to be shaken out of an emerging complacency, having grown to hog 28 percent of global IT outsourcing spend. A tougher market should foster innovation and better value services for clients. There may be a painful adjustment for India’s big four. But if it leaves them better able to compete with U.S. rivals, they will be glad of it. HCL Technologies Ltd, India’s fourth-largest software services exporter, reported a 29 percent rise in quarterly net profit, just shy of expectations, after winning more outsourcing orders amid the global economic uncertainty on July 25. The group said consolidated net profit for the fiscal fourth quarter ended June 30 rose to 6.59 billion rupees from 5.1 billion rupees a year earlier. Its shares were trading up 5.4 percent at 506.60 rupees by 0350 GMT. Wipro Ltd, India’s No. 3 software services exporter disappointed the market in giving a muted forecast for its main IT services business pushing its shares down to a nine-month low on July 24. Earlier in the month, Infosys cut its sales forecast more deeply than expected and market leader Tata Consultancy Services exceeded forecasts by posting a 38 percent annual jump in quarterly profit.